Cheers, from one of my favorite restaurants in Bogota. Bogota is an amazing foodie destination — one could even say it’s “bacano” — but it’s really underrated. It’s feels like New York with a South American flair. We were visiting friends who live in Colombia, and they took us to some of the best restaurants in Bogota. We stayed at the Embassy Suites in Bogota. It’s a fairly nondescript business hotel, unremarkable, except for its fantastic location — Zona G. The G in “Zona G” is for “gastronomy,” and with good reason — it’s basically three square blocks of great restaurants! Camarones at Astrid y Gaston. The sauce was poured over a hot volcanic rock! Not quite as good as the one in Lima, but we love Gaston Acurio. We just asked the wait staff to bring us “whatever they wanted” and ended up with an incredible meal with unbelievable wine. It’s in the old colonial area that’s fun to walk around, and this restaurant is as adorable as it is delicious. Perfect steak at Capitol Cocina y Cafe. This is me not knowing what “Brioche Shanghai” means/was and not caring. Ask to be seated upstairs and try the tasting menu, it was my favorite meal of the trip! Because even though you don’t know what you’re eating (even after your server explains it) you won’t even care. Because todo es delicioso! We’ve been to Andres Carne de Res and it is WELL worth the trip for the experience alone. But we’re still dying to go to Andres Chia — the really great one outside the city! Here’s the thing, we were super-duper stoked about this chain. Crepes and waffles and wifi are my favorite things. But no other place had weirder hours (how is this place not open for breakfast? ), spottier wifi, and even spottier service. But the waffles and ice cream are awesome. We haven’t been, but my friend who lived in Bogota highly recommends El Cielo, and warns that it’s a three hour experience! If you want really good Mexican food, hit up Cantina y Punto. Super-charming, and a great unexpected wifi spot. Cafe y Jugo de Lulo! Juice made from lulo, an exotic fruit with a citrus flavor. Mike with our Colombian friend Oscar. Columbia and coffee and ice cream, need I say more? Delicious, because it’s all butter, mozzarella, and fried dough! The Cookie Jaar in in La Zona T has the most amazing cookies. We even heard that they can be delivered! To see more of our trip to Colombia, check out the #eathablarlove hashtag on Instagram! 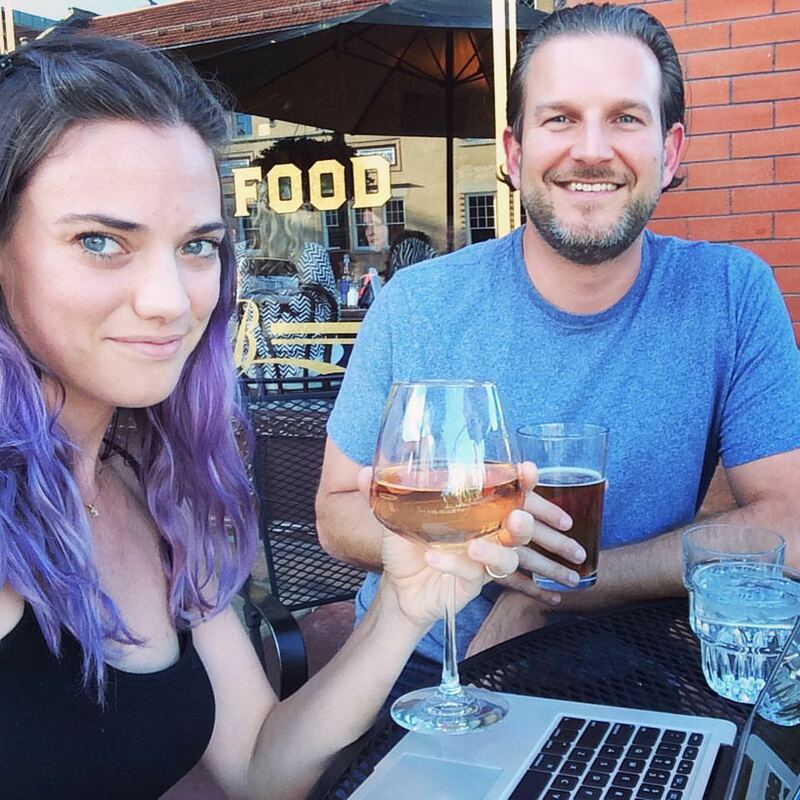 Megan and Mike are writers that live in LA. They love to travel and eat, and then share their experiences doing both.